Roof Ventilation: Why Does It Matter? A well-ventilated roof is a structurally sound one. Shingles aren’t the only component that significantly contributes to roof performance. Vents also lead to functional and long-lasting roofing systems. 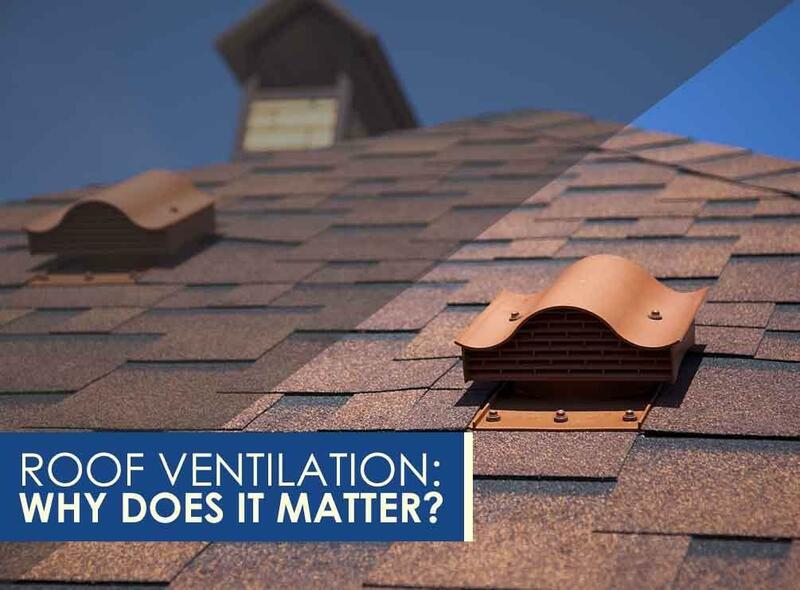 One of the region’s finest roofing contractors, Kroll Construction, explains why you need to invest in proper ventilation. The reason your attic must have adequate ventilation is to expel excessive heat. Everyday household activities produce warm, moist air, which would rise up and try to escape your home. Without a way out, the heat would just build up and increase attic temperature. Poor venting fails to regulate the intake and outtake of air in the attic, causing it to overheat. Hot attic temperatures would cook your shingles from the inside, accelerating wear and making them curl. Ultimately, your shingles would fall to the ground one after another, leaving your roof defenseless against the elements. Proper roof ventilation dramatically reduces the chances of shingle curling. By maintaining an optimum attic temperature, your roofing shingles would live until the end of their life span. Heat isn’t the only culprit for premature roof failures. When the warm air meets cooler surfaces, condensation takes place. The sweating would dampen your wooden roof deck, which can result in premature damage. All reliable roofing systems have high-quality ridge vents. Unlike other similar devices like turbines, these key components should be present at every roof pitch to provide equal ventilation in all parts of the attic. The combination of intake and exhaust vents allows your roof to breathe out moist, indoor air, keeping your attic’s humidity under control. A humid attic creates a conducive environment for mold growth. Mold spores are everywhere, and they could easily grow on lumber when it gets wet. Although molds feed on the nutrients on the wood’s surface, they’re not necessarily a threat to the lumber. Apart from the unsightly appearance, a moldy attic is a health concern for certain people. This issue can lead to several health issues if left untreated. Mold remediation doesn’t stop its spores from coming back to the same breeding ground and multiplying. The best way to prevent mold growth in the attic is adequate ventilation. Make sure your roof is adequately ventilated to keep your system intact and your indoor spaces healthy. Let Kroll Construction help you build a better home. We serve Detroit and the surrounding areas. Call us now at (888) 338-6340 to schedule your FREE inspection.